ST. PETERSBURG: When an unknown girl ‘liked’ one of Evgeny’s photos on his VK page, he wrote her to inquire. They soon went on a date, but there was no spark. However, a few days later, not wanting to go to the movies by himself, Evgeny invited her out again. Something clicked. As their one year anniversary approached in March, Evgeny looked for a ring, but couldn’t find the one he wanted. So, one their anniversary day, he proposed, using a ‘ring’ made of foil from a bubble gum wrap. She accepted (and sent her mom a photo of the ‘ring’). Having just taken a big step in his life with the opening of the franchise barbershop Top Gun in St. Petersburg at the end of May with his university buddy, Evgeny – who just turned 30 in June – has just taken another big step, having married his girlfriend last week. Evgeny just got married last week. 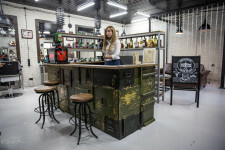 Inside Evgeny’s new barbershop Top Gun. 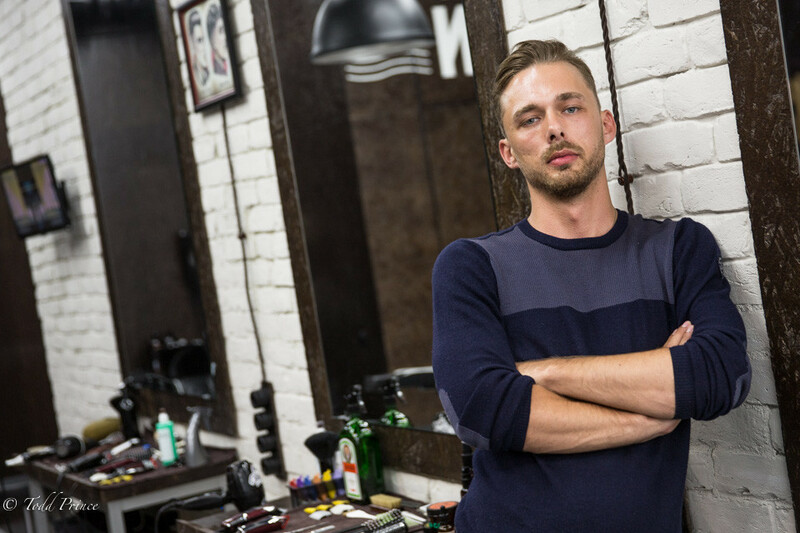 Evgeny, left, opened a barbershop in St. Petersburg with university mate Vladimir.